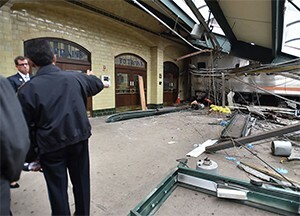 Our thoughts and sympathies go out to all those who have been harmed due to today’s New Jersey Transit Train accident at the Hoboken Station earlier this morning. We are hopeful that all of the many, many injured receive the medical treatment they need in a timely manner so that they can begin to heal from their injuries. Those injured, along with their family members, should be aware that New Jersey law imposes strict time limits on legal claims involving New Jersey Transit Trains, even in those cases that appear to be instances of clear operator error. Any such claim must be presented within ninety (90) days from the date of loss. This strict time deadline includes claims for all injuries, no matter how long lasting, including death. The failure to present any such claim within this strict time limit, absent exceptional circumstances, will result in the loss of that claim. This law is known as the New Jersey Tort Claims Act. Many of those injured today likewise have potential claims against their employers under the New Jersey Workers’ Compensation Act. This law likewise has very specific notice requirements that must be satisfied to properly present the claim. The Law Offices of Marshall, Bonus, Proetta & Oliver are available to answer any question any of the injured or any family member may have regarding this tragic incident for the foreseeable future and will likewise be available to meet anyone suffering due to this tragic incident at any of our offices. Our firm has offices statewide including several located near the Pascack Valley Line, including Jersey City, Wayne and Parsipanny. All questions will directed to an attorney who has been certified by the Supreme Court of New Jersey as a civil trial attorney. The Board on Attorney Certification was established by the Supreme Court of New Jersey in 1980 for the purpose of helping consumers find attorneys who have a recognized level of competence in particular fields of law. Attorneys may be designated by the Supreme Court as “certified attorneys” if they: are able to demonstrate sufficient levels of experience, education, knowledge and skill in a specific area of law or practice; have passed a rigorous examination; and have been recognized by their peers as having sufficient skills and reputation in the designated specialty. The Supreme Court, through recommendation by the Board on Attorney Certification, certifies attorneys in civil trial law. Daniel M. Santarsiero has been certified as a civil trial attorney since 2009 and was re-certified in 2014. This means that Mr. Santarsiero has been a member in good standing of the New Jersey Bar; has taken a specific number of continuing legal education courses; demonstrates substantial involvement in preparation of litigated matters; demonstrates an unblemished reputation by submitting a list of attorneys and judges who have attested to his character and ability; and passed a written examination covering various aspects of practice in civil trial law. In his career, Mr. Santarsiero has handled numerous matters involving the New Jersey Tort Claims Act and is well aware of the technical requirements of the Act. He likewise is aware of the significant emotional toll serious injuries place on individuals and their families and the need for steady, personalized, legal support in times of need. Mr. Santarsiero is likewise familiar with the significant types of injuries that all too often result from significant collisions such as today’s tragic train crash in Hoboken, NJ. Those injuries are physical, emotional and mental in nature and often times overlap. Mr. Santarsiero has guided countless clients through similar hardships and injuries all the while recognizing that each client is a unique individual undergoing unique physical, emotional or mental difficulties. Many of his clients have referred friends and acquaintances to him as an expression of their gratitude. Here is hoping that all of those involved today can eventually recover from this horrible tragedy.